A monument to Confederate soldiers on the Texas Capitol grounds. “Never once, not even once, did I hear in my four years at Lanier that Sydney Lanier was named after a Confederate soldier,” said Terry Ayers, an alumnus who spoke at a January meeting of the Austin Independent School District Board of Trustees. Ayers went to Lanier decades ago, but that lack of awareness around school namesakes still exists. Board member Ted Gordon said he found it distressing that students at Lanier, Eastside Memorial and Reagan high schools, as well as Fulmore Middle School, still don’t know the history behind the names. “I don’t know how in this day and age, or in a school district – that is a fine school district as we have here– that we can have folks who don’t understand why these names might be painful," Gordon said, "or who these people were and what they stand for." That made many people involved in the conversation question how the district teaches this part of America's history. The Southern Poverty Law Center released a report last month on how each state teaches slavery and the Civil War. 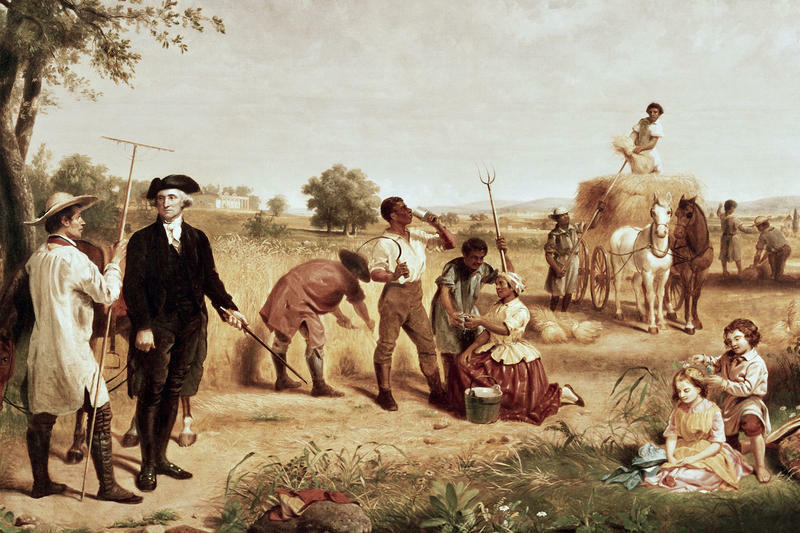 "We think about American history as being about perpetual progress. In our early grades there's really nothing bad that happens. We really focus on the heroes." Jeffries says history classes around the country don’t spend enough time looking at the realities of slavery. Too often, he says, the early grades teach only about Frederick Douglass’ accomplishments as an abolitionist, for example. He says there needs to be age-appropriate lessons on the realities of slavery that Douglass was fighting against and that these hard lessons shouldn't be saved for high school students. To thoroughly teach the subject, teachers need be comfortable with these lessons. Jeffries' research found that isn’t always the case. This resonated with Jessica Jolliffe, social studies supervisor for AISD. And she says this affects a student’s learning. She says she recognizes these blind spots in the district and is trying to improve AISD’s teaching of slavery. One way is by promoting books that talk about life as a slave. She has also implemented a program called Facing History and Ourselves. Jeffries said teaching slavery involves more than just presenting historical facts; students need to understand that what happened before and after the Civil War is still relevant today. 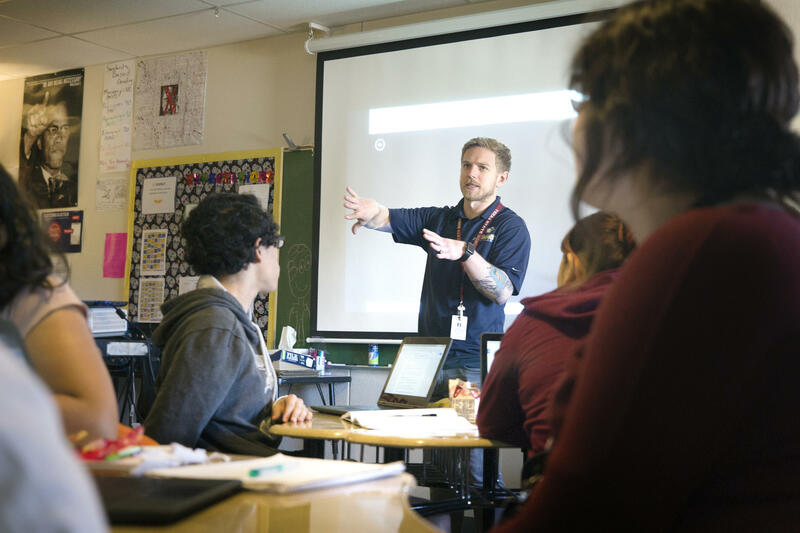 Chad Timmons teaches an ethnic studies class at Akins High School. This year, AISD introduced a social studies elective called "ethnic studies" to try to bring some of that context into the classroom. The point of the class is to have students talk about race, sexual orientation and gender in American society. The students in this class are mostly black and Latino. They start the lesson by watching some videos about the talk many parents of color have with their kids. In one, a mom tells her daughter what to do if she’s pulled over by the cops. Then they read an article on white privilege and write a reflection on it. Timmons then leads the students in looking at everyday examples of white privilege. The students all say "white people," prompting a passionate discussion among the female students about makeup. Senior Izadia Buyce shares a story about a popular makeup brand coming out with a new foundation. The class will also discuss male privilege and economic privilege. Ethnic studies is offered at only six AISD high schools. Timmons says it’s great to help put history in context, but it doesn’t change the fact there are challenges when he’s teaching his regular history classes. “I do think we try to step outside the box and fill the gaps a little bit," he said, "and try to present more perspectives than we think are present." Part 2 looks at Texas' history standards and calls to change them. The Austin Independent School District Board of Trustees will vote tonight on whether to change the names of five district facilities named after people who served in the Confederate military or government.